Stamped concrete creates beautiful surfaces and its application can truly transform a space. The colors and patterns available ensure a custom surfacing solution. 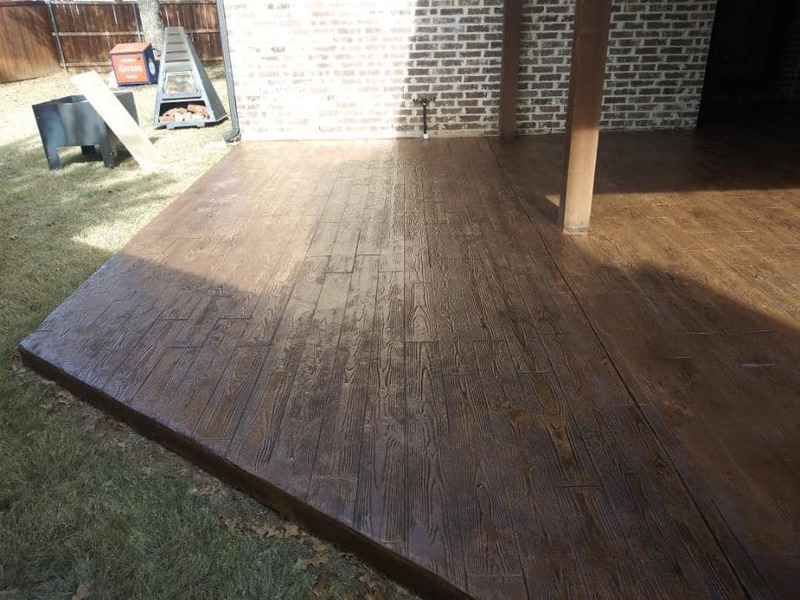 Stamped concrete is a great way to upgrade from plain concrete and a beautiful way to overcome existing, old, worn-out concrete surfaces A stamped concrete overlay can pull together a space of non-matching outdoor surfaces, such as what is seen during a patio or driveway expansion. It is an upgrade that can add resale value to one’s home or business, providing a return on investment. 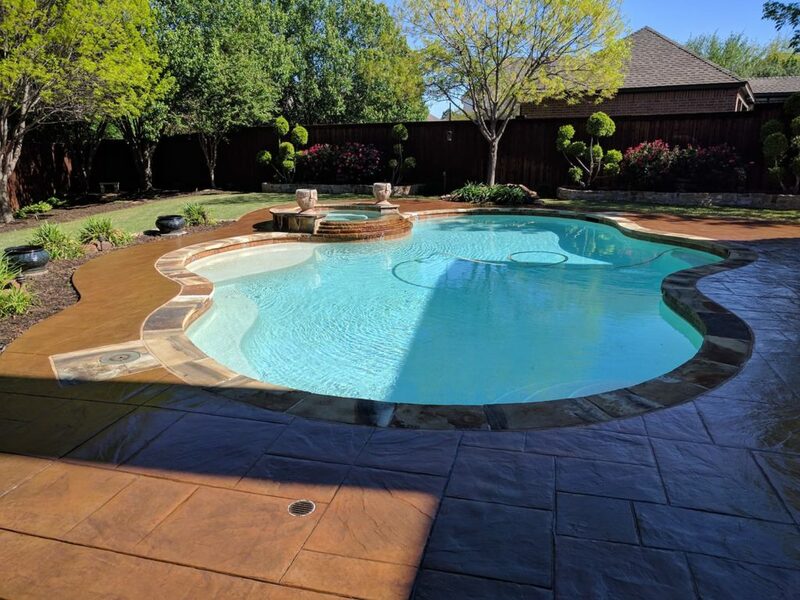 Stamped concrete has advantages beyond its beauty. It is a less costly, and oftentimes much more durable, alternative to wood, rock, brick and tile. Given its solid structure, stamped concrete doesn’t pose a tripping hazard once inevitable ground shifts happen, which can unseat and buckle pavers, bricks and tiles. Moreover, stamped concrete is low maintenance compared to its rival surface options. Generally, a seal can be applied every few years to maintain the color and prevent stains. Keeping the surface clean and free of debris will prevent most staining. Power washing can usually remove any stubborn stains. At Flores Decorative Concrete, you have many options to choose from. In addition to the traditional stamped designs of wood, stone, brick and tile, we also provide custom textures and patterns. You’ll find our pricing to be competitive and our customer service remarkable. Give us a call. Let’s transform your space today.